A multimeter is a versatile device used to check voltage in electrical circuits, as well as determining whether a circuit is using alternate current (AC) or direct current (DC). You can use a multimeter to test the breakers in your circuit box and ensure that they are functioning as they should. When breakers aren't working, it increases the risk of an electrical overload in your house, which can cause a short or even a fire. 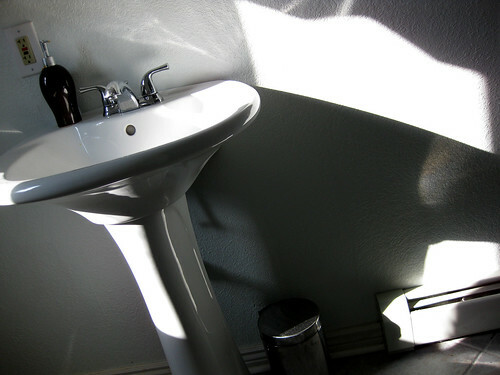 Turn off all the lights and appliances being powered through the breaker you want to test. Put on a pair of rubber-soled shoes and make sure the area around the circuit box is dry. Watch for puddles on the ground in particular, and mop them up and let the ground dry before testing the breaker. Unscrew the metal frame around the circuit breakers with a screwdriver and set it aside. Behind it, you should see the wiring running through the circuit breakers as well as the breakers themselves. Touch one prong on the multimeter to the breaker's terminal screw (or "hot screw"). Touch the other prong on the breaker to a ground screw, which is usually located in a metal bar along the right-hand side of the circuit box. The readout on the multimeter should tell you how much electricity is flowing through the breaker. Ideally, it should read either 120 or 240 volts. 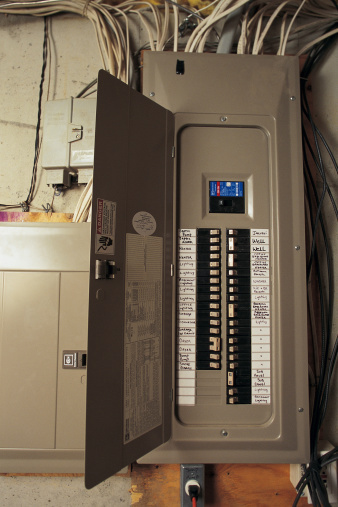 If it doesn't read anything, your breaker is faulty and should be replaced.